SimpLync is the first SIP phone on the market designed to have a close integration with both, Skype for Business (Lync) and any estándar SIP end-point or PBX. Since there is no need for any architectural gateways or servers, SimpLync is a solution that is valid for all type of Lync Installations, including on-premise and cloud based Installations (i.e Microsoft Office 365 Lync Online Services). SimpLync goes beyond the basic features you can expect from a normal phone, being the first sip phone on the market that can work embedded as the root engine of your Lync or Skype Client. 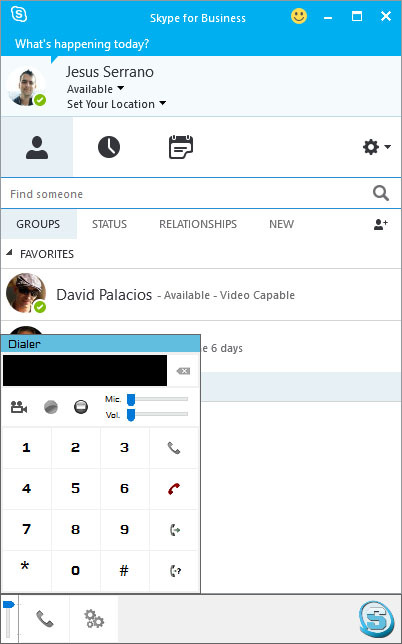 When Lync Native mode is setup, Simplync client starts with the Microsoft Client (a few seconds later) and attach itself to the bottom of the window, and manages the actions and events related to calls in Lync. Due this behaviour, SimLync works/supports any estándar SIP PBX, including Avaya, Cisco, and popular VoIP Systems. Moreover, In addition to normal SIP features, multiple-lines, audio/video and broad codec support, you will find advanced capabilities a increase number of PBX. There is also special integration for some supported platforms, as ·3CX or Asterisk distribution, where you have also Remote Call Control Capabilities. Additionally, our product supports some popular Call Centers system, so, if needed, you can use Lync interface to logon in Queues, set Agent Code Pauses, Outcome Calls, Outbound Calls (PowerDialing) and features of Complex Call Center (but without the high cost normally associated to Lync based Call Centers). Now, you do not have to choose between 2 different systems. Simplync will allow you to use the best solution of UC on the Market (Microsoft Lync clients) with the PBX of your choice, use your existing investment in your Voice Infrastructure, and without the cost and complexity traditionally associated to integrate Lync Enterprise Voice Systems. You can even access to advanced Profesional CallCenter Features! If you have a SIP based PBX and you use Lync for IM/chat, SimpLync is your choice!